Rare location at this complex. Unit is on the back side of the building facing an open space Cherry Creek Trail area for extra privacy & beautiful views. This two bedroom, two bathroom condo offers a lot for the money. Large, open living area has a gas fireplace in the living room, tons of natural lighting, slab granite counter tops, two balconies: one in the living room, one in the master bedroom, two storage closets, all appliances included, full size washer & dryer. Large master bedroom with a 4 piece master bathroom, double sink vanity, & walk-in closet. Extensive amenities with low HOA fees including pool, clubhouse, fitness center, hot tub & business center. Large park with playground and sand volleyball court. 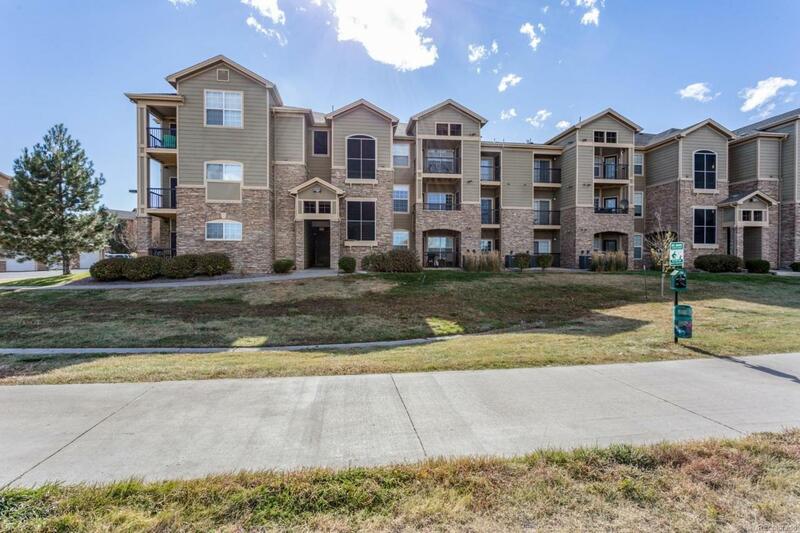 This newer construction condo provides lots of convenience near Jordan Rd & C-470.